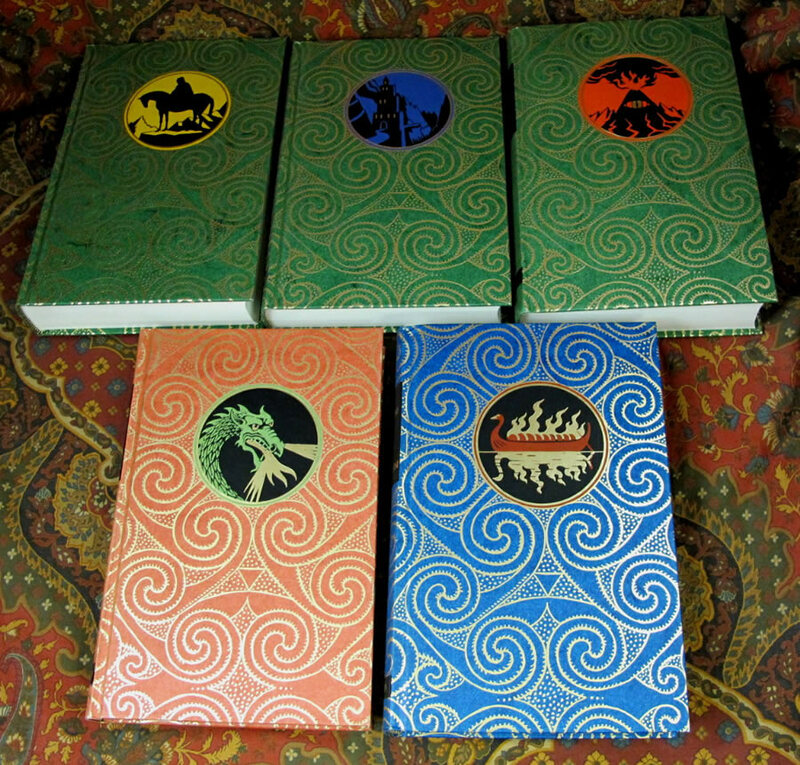 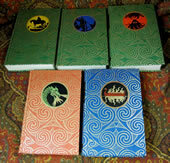 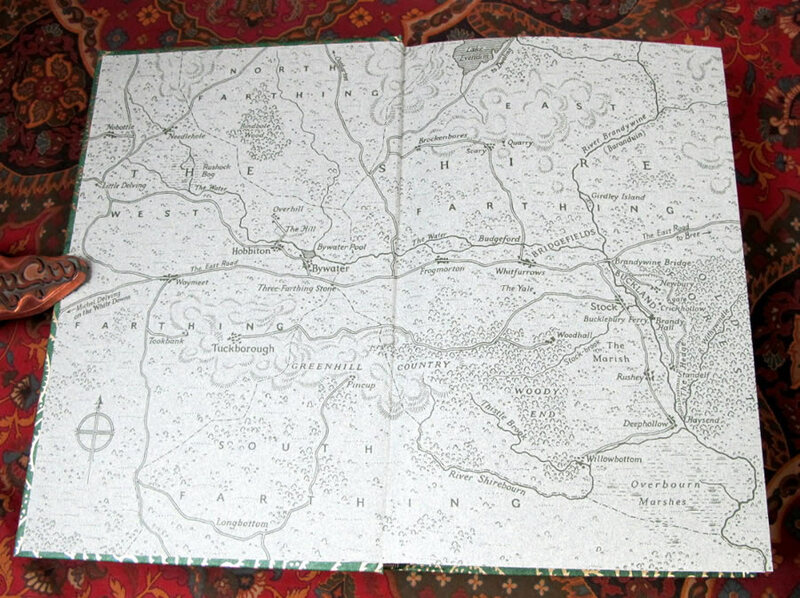 The Hobbit was published by the Folio Society in 2002, the 7th impression. 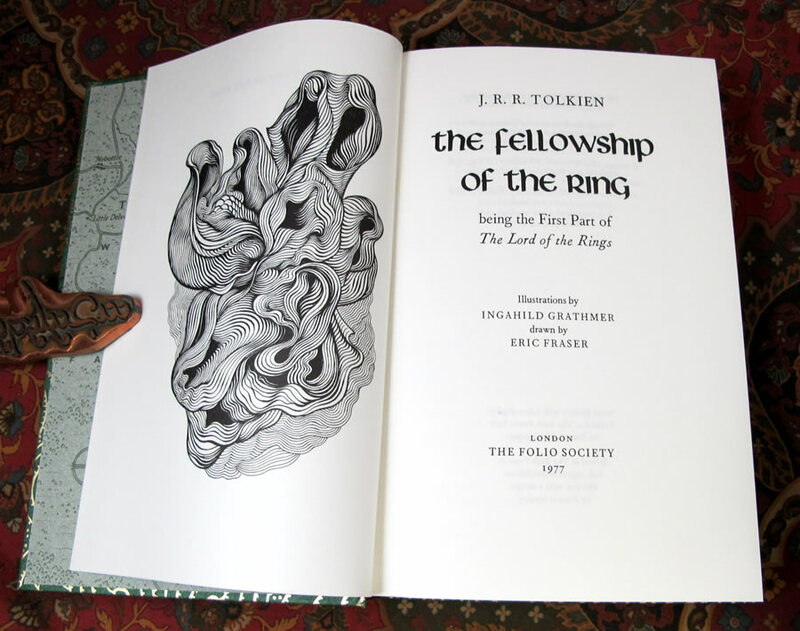 The Lord of the Rings is the 9th impression of 2002. 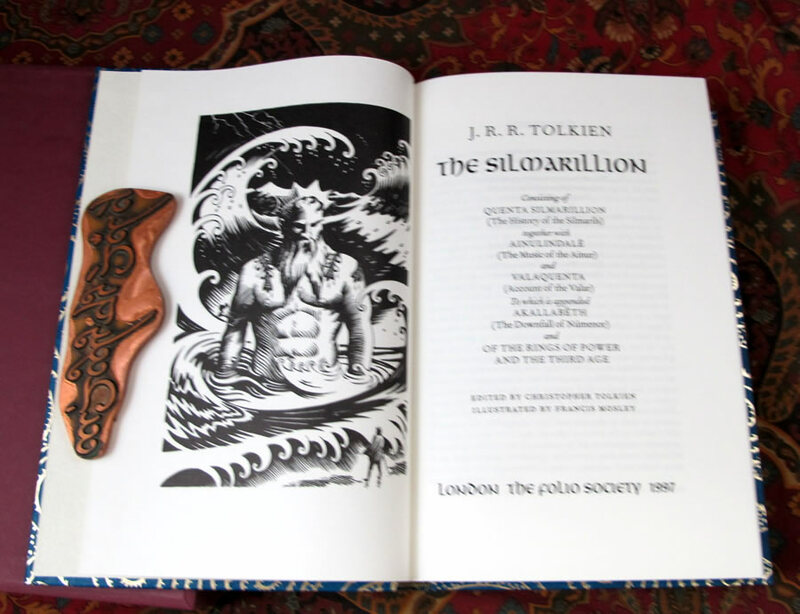 The Silmarillion is a 2nd impression of 2002. 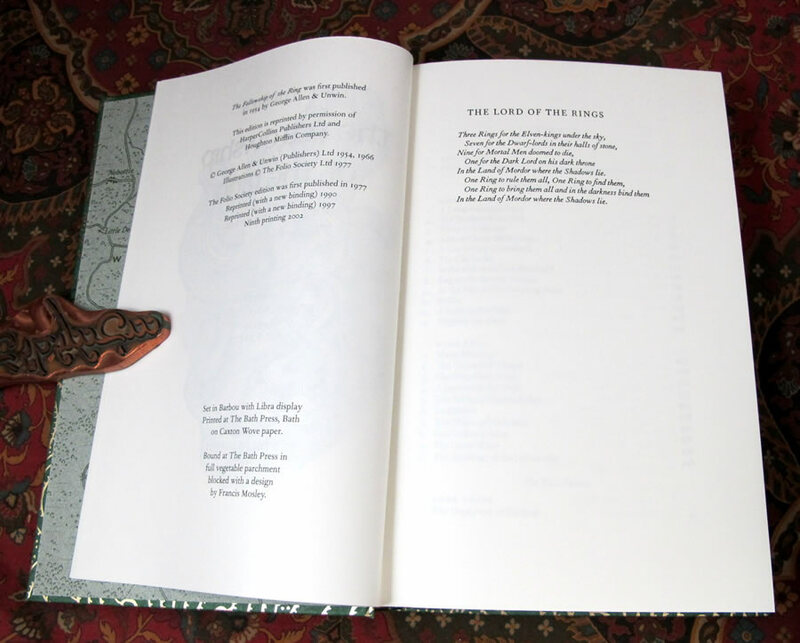 All are illustrated by Eric Fraser, Ingahild Grathmer, and Francis Mosley respectively. 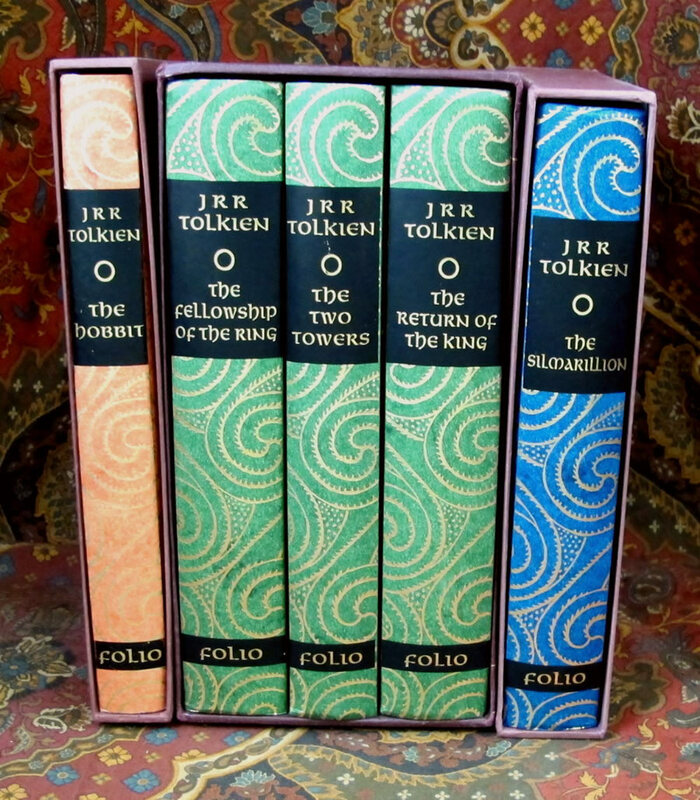 A wonderful matched set made of high quality acid free paper, and bound in full vegetable parchment to create a beautiful set of Tolkien's primary works. 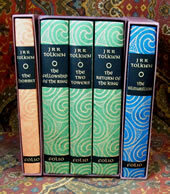 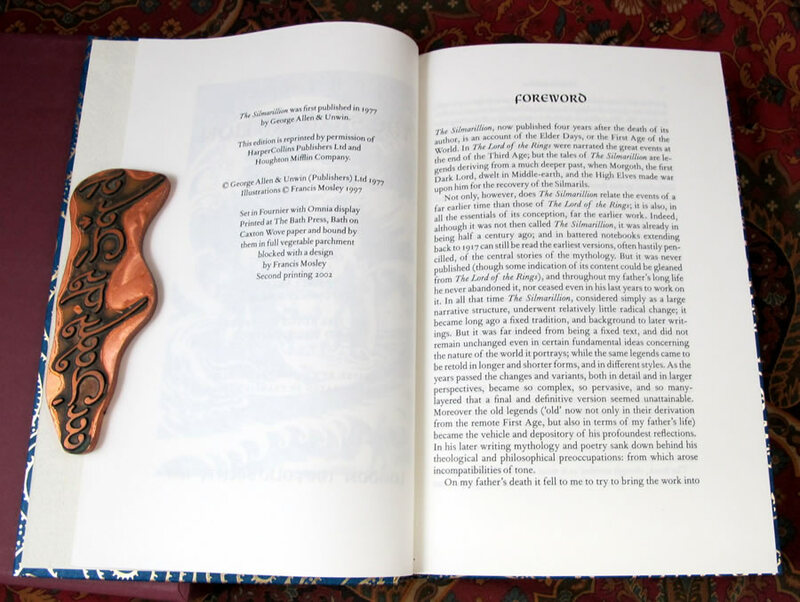 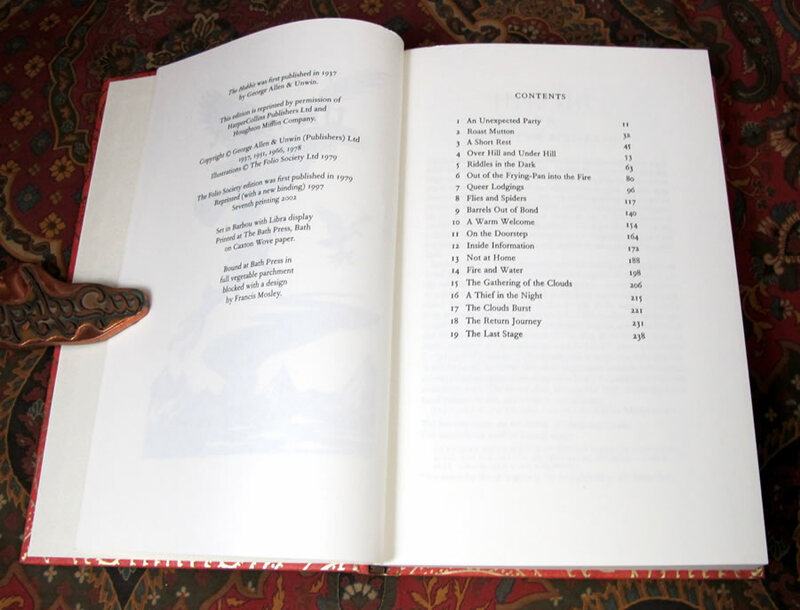 All three issues are housed in their own separate publishers slipcase, and are in Near Fine condition.